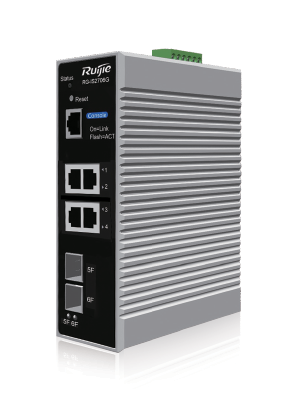 The Ruijie RG-IS2700G Series is a range of rugged and compact industrial Ethernet switches designed to power various industrial applications. The RG-IS270G offer abundant routing, switching, security protocols, and advanced features including vibration resistance, wide temperature range, dust proof, and lightning arrester to cope with harsh operating environments. Ethernet Ring Protection Switching (ERPS) is another highlight to improve network flexibility, resiliency and security. The Ruijie RG-IS270G are 6xGE Industrial Switch, providing customers with a robust, highly secure and easy-to-use switching infrastructure.